Phil:Hey Guys! It’s Phil from smilinggardener.com and today we are talking about how to use mulch and a quick reminder if you haven’t signed up for the 15 Vital Lessons For Becoming A Better Organic Gardener, you can do right on the homepage of smilinggardener.com. So H, do you remember when we used to mulch at aunt Tina and uncle George’s? H:	I do. I think we have pictures somewhere of that. H:	I don’t know here. Phil:	I bet it’s not digital though. I bet it’s like a film picture. H:	Oh yeah. They are like – it’s a film like 1986 or something like that. Phil:	So what did we do there? H:	Yeah. So I can remember just, you know, wrapping up use piles of leaves and jumping in them and playing in them and all that stuff. But we would, aunt Tina had us, like mow over them until they were really finely shredded and then put them on her veggie garden. She had a huge veggie garden. And I think we would turn them into the soil with like a pitch fork or something like that. So – I can remember that quite well. Phil:	And then, it’s kind of funny because we – when we became landscapers, we were using like cedar mulch for many years and then when we got into organic gardening, we were back to leaves mostly now, right? H:	Yeah. Definitely. I mean, how many yards of mulch did both of us shovel onto people’ gardens? Phil:	That was always fun though because that was lighter than like stones. H:	I loved mulching. It was like the most stratifying job, but leaves is way funnier, super easy to do. Phil:	Okay. So what I am going to talk about really quickly and there is more detail on the blog. What I want to talk about today is how to choose a mulch depending on if you are growing more like trees and shrubs, maybe an orchard fruit trees or more like a vegetable gardener annual plants. So I guess I am just going to talk, right H? Phil:	Okay. So okay. So just quickly, this is the main point I wanted to talk about today. Trees and shrubs like more of a fungal dominated soil food web. They really want a lot more fungi than bacteria. In order to get that, you want to definitely leave the mulch on the surface of the soil and use some woody material, some wood chips, not bark mulch. And definitely you want the wood chips from the same kind of tree. So if you are planting fruit trees or other deciduous trees, you want deciduous mulch. If you planting conifers you want more conifer mulch because if you use it with the wrong one, it promotes the wrong fungi and there is other issues. So that’s an important one. Still leaves are always the most important part. But if you want to promote fungi, getting a little woody material in there, especially early on when you are trying to establish the fungal soil food web, that’s what you want. Over to your vegetable garden, that’s when we definitely don’t want woody material because we want more of a balance between bacteria and fungi. So we want – that’s really leaves and maybe straw, maybe you consider turning it into the soil, just the top of the soil because you don’t want to disturb too much but just to promote more bacteria. Or even, if you leave it on the surface. You just want a very think kind of, mulch of leaves and straws and I think I carved it a little more elegantly in the blog but that’s the main thing I wanted to talk about today.Hey, what have you been eating earlier? H:	Oh! I got these little fruits from the supermarket. Actually, I already posted a picture of them on the Facebook and ask people about it. But they are like these little berry that I never had before. You know, it’s cool to be in the different country and like try something that you have never saw before but like, they are so confusing. It’s like a citricy melon and blue berry but it looks like a tomato. They are super interesting though. Phil:	What’s it called? Do you know in English? H:	No. But I put it on – asked people on Facebook. So. I am sure somebody will know what they are. I cannot translate it from Dutch. It doesn’t look like anything that I know. Phil:	So that’s facebook.com/smilinggardner, right? Phil:	And do we had question for people today? H:	Yeah. We are going to ask people, like us, when you got into organic gardening, did your practices change too, did you change the type of mulch you were using, or if you have any other questions about types of mulch or how to use mulch, that would be a good place to ask it down below the blog. Phil:	It sounds good to me. Phil:	That’s all for today. H:	Yeah. Bye for now. There are a couple of important things I want to share about how to use mulch in your organic garden. When we were kids we would help our aunt and uncle put their vegetable garden to rest for the winter, using leaves for mulch. We’d collect them into a pile, jump into them and play a while, mow over them with the lawnmower, then pile the mulched pieces onto the soil. We would use a pitch fork or a hard rake to turn them into the top couple inches of soil. Our aunt had a huge property with many different trees so this garden mulch became a layer of stunning rainbow colors. Fast forward years later. When we started doing my own landscaping I would spend big bucks on yards and yards of cedar mulch and lay it several inches thick over the soil. I thought it was the perfect finish to a garden because it helped control weeds, retained moisture and looked good. But I was always wondering, what kind of mulch should I use? Is cedar mulch really the best? After I got into organic gardening I learned that my aunt 15 years earlier had a better understanding of how to use mulch in landscaping. 1) When we use mulch on the soil surface, particularly woody mulches, we’re promoting more fungal growth. 2) When we incorporate mulch into the soil, we promote more bacterial growth. 3) If we till the mulch into our gardens, we cut the fungi hyphae all to pieces, resulting in a highly bacterial-dominated soil. These generally need a fungal-dominated soil, so if we’re trying to establish an orchard, or a few shade trees, or a shrub garden, definitely leave the mulch on the surface. Also, this is a time when it’s okay to use some wood chips in your mulch because they promote fungi. 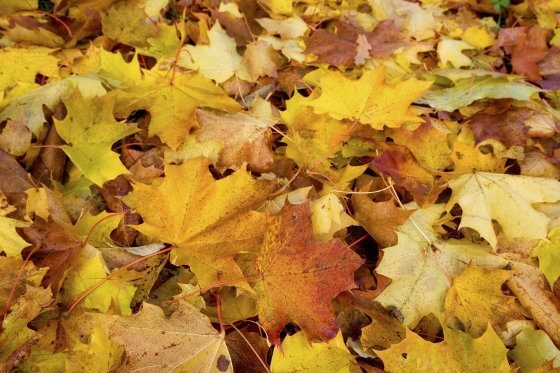 Using leaves as mulch is still always an important part of it, but some wood chips in there will be beneficial. The important caveat is that if it’s deciduous trees you’re planting, use wood chips from deciduous trees. If you’re planting conifers, use conifer chips. Using mulch of coniferous chips on deciduous trees, for example, promotes the wrong kind of fungi, and causes other incompatibility issues, too. And either way, bark mulch isn’t good because it contains toxins. And to repeat, leaves are the ultimate, sustainable, awesome mulch. These prefer more of an equal balance of bacterial and fungal mass, so we don’t use wood chips, and we may even turn the organic matter into the top inch of soil. Or we may not, as we still try not to disturb the soil too much in the long run. But we’re definitely not going for a thick, woody mulch. When annual plants are pioneering new ground in nature, the bacteria will be the major players, and it’s mostly leafy and herbaceous debris, so that’s what our vegetable garden looks like. If it comes from the garden center and is dyed purple or neon green, it’s probably not something you want in your soil! What do you think? Have your mulching practices changed since you got into organic gardening? Any other questions about how to use mulch? Post down below. I always let my leaves self mulch, it just seemed the obvious thing to do. When I have taught this people have queried it but I have stood by it for 15 years. Everything catches up with you in the end! I agree! Nature seems to have a way of caring for itself sometimes! Exactly, people are coming around to it I think. i have many mature maple trees and therefore leaves. i have collected piles in an unused garden many years. every year the leaves have developed some kind of black spots on leaves. any idea what this could be? and think i can i safely spread these leaves on my garden or will the fungus/disease hurt?thanks! That’s some kind of disease like tar spot. Most people will tell you to burn those leaves. I have a very different opinion that I can’t explain in much detail here, but I feel strongly that they should be used in your garden in order to invite the microbes that feed on that disease. So they could be composted and/or used as mulch. There’s no such thing as getting rid of the actual disease, so burning makes little sense to me. I allude to this ‘health management’ approach in the 1st of my 15 lessons to which you can sign up for free on the top right of this page. What’s the best mulch for a perennial garden? I favor leaves on top in the fall and a layer of woody mulch once a year whenever I get around to it. A little bit of woody mulch would be okay, but I’d want to see a lot more leaves than wood. Think about what your plants would have under them in nature – perhaps some woody debris if they normally associate with trees and shrubs, but mostly it will probably be leaves. Thank you, Phil… I have so much to learn, so this is all very helpful. This is the first time that I have heard to use deciduous with deciduous trees and conifers with conifers… would that also include broadleaf evergreens such as holly or rhodies (meaning evergreens with evergreens?) I recently went to a lecture on growing backyard fruit trees organically/holistically and he also spoke of having fungal vs. bacterial dominated microbes in the soil depending upon what you are growing. It’s good to hear the same thing again. So I am working on encouraging the fungal microbes around my new apple and heartnut trees. Another thing he mentioned is that there has been some research out of Quebec done using mulch from very young brush. I guess the idea is that the young brush mulch would have growth hormones and enzymes that would give the fruit tree transplants a boost. I hope to find more information on this. Thanks again. If we were going all the way with this mulch concept, we would technically look to see were the plants are growing in their native habitats and take some clues from there. So some rhodos grow in forests along with oaks, which means technically those rhodos would do best with mulch from rhodos and oaks, but since we can’t buy that specific kind of mulch, we can approximate it with deciduous mulch. For broadleaf evergreens, I assume it’s mostly deciduous mulch to go with.The research from Quebec is on “ramial-chipped wood,” so you can probably find it by searching for that. As I recall, the main findings were that trimmings from smaller branches are higher in nutrients and lower in carbon, which makes them a better mulch. So lovely! Thanks a lot for the tips. It will really help me a lot. Brilliant! Why do you “try not to disturb the soil too much”. Does this apply in digging a vegetable garden? Yes, some soil disturbance will happen in a vegetable garden, but I try not to overdue it because I don’t want to injure my fungi and earthworms and other beneficials. Would it benefit us to have a compost bin with yard leaves mixed with a percentage of a woody mulch that we are working, for annually spreading under our trees as mulch? And would you want small amounts of grass clippings in this mix? Yes, that would be excellent. Up to perhaps 25% grass clippings would encourage some composting to occur more quickly. I’m glad I stumbled upon this article, since I’ve never thought to use mulch in my garden before. Is there a certain type of mulching that I should be using? My garden isn’t large; perhaps 10′ x 15′. Thanks for the nice presentation..good one.. I was just offered free mulch (lots) that is a mix of all the yard ‘waste’ a local area homeowner would bring to the disposal site. It will include some conifer material along with leaves, grass, wood chips, etc. I want to use it on my brand new fruit tree and berry starts. Will this be OK? Thanks! Yes, a mix of materials is good. Sometimes that stuff can have some pesticide residue if the homeowner sprayed pesticides. If you know the homeowner, you can ask. As for getting this kind of thing from the city, I’ve never seen data on how much residue it might contain, and of course it depends from place to place.